Sea Colony is a gated beachside community that has homes, townhomes and condos which can be seen as you drive along A1A. Several townhomes have ocean views from the master bedroom. Units range from 1,250 sq. ft to about 2,000 sq. ft for the single family homes. They have one condo that is a single story and all condos have garages. They have two locked gates to cross over to the beach. You will like the active lifestyle of Sea Colony Jupiter which features a large community pool, fitness center as well as tennis courts. It is a gated community that is pet friendly for any size dogs. As you can see from the Sea Colony aerial below several condos sit facing the ocean and are quite desirable. The balconies are not high enough to get water views but you can enjoy the activity and breezes off the ocean. Each condo building in Sea Colony features 5 different floor plans from 1,200 to 2,000 sq. ft. and 3bd/3ba in the largest unit. The most popular floorplans are the one level condos. The second floor condos have two stories so you actually have 3 flights of stairs to some of the master bedrooms. The big draw is the single car garages which is great to store bikes, kayaks and other water toys. There are very few condos along the beach with garages. The single family homes are attached townhouses with a common wall but a two car garage. They range around 2,200 sq. ft with several offering lake views which are always the most popular. 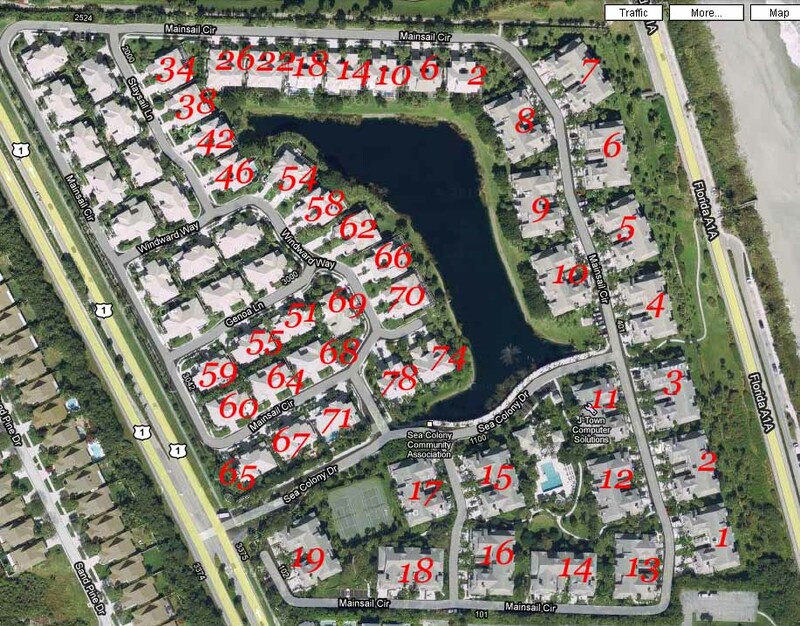 Don't forget this is of only a few Jupiter large pet friendly communities that allow any size dogs. The dog beach is just across the street. Sea Colony allows 2 rentals per year with a minimum 60 days. Within walking distance you will find Juno Beach Pier which is popular for high school kids going to the beach as well as local surfers and fisherman. The Publix shopping center is a short walk away which features several restaurants, banks and a Yoga studio. The beach in front of Sea Colony is Florida dog friendly beach so it's a great place to meet local friends and their dogs. Kite Beach is just a few blocks North of the community and is a great place to watch the amazing kiteboarders on a windy day. Bring your camera for this. You can always jump on your bike and enjoy a beach ride or a morning walk on the beach. The community pool is one of the larger pools along the beach and is a fun place to meet your neighbors. Search for Singer Island condos as well as Jupiter Island condos for sale as other options and they are just a few minutes away from Jupiter. We have the team that covers the Florida coast for beachfront living. 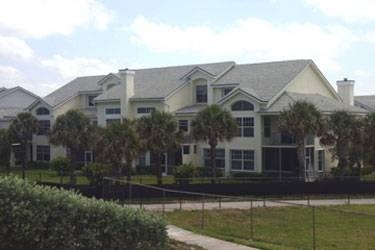 If a Sea Colony Condo listing has caught your eye or you want more information about Jupiter, FL real estate, please don't hesitate to call 1-561-744-7025, or email via our handy contact form with any questions or to arrange a showing.